I could use some help with a sociology assignment. Earlier this week, our professor discussed how domesticated animals have changed how cultures and societies develop all over the world. He cited the ancient Egyptians who worshipped cats, settlers who relied on oxen and horses, etc. The assignment for this coming week was to explore how domesticated animals continue to impact modern culture and society. We’re supposed to pick an example, obvious or obscure, and present it to the class. I was going to choose a seeing-eye dog for people with blindness, but then I came across emotional support animals. 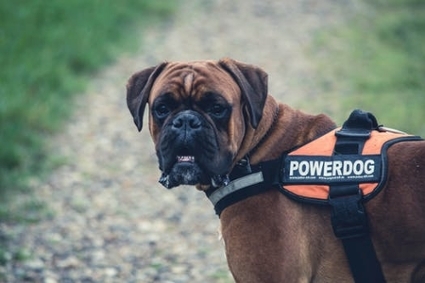 Are emotional support animals more or less like than other service animals? What are the most common examples? Your topic is extremely relevant, especially when it comes to flying with emotional support animals. You might recall reading the headlines concerning United Airlines and how they denied a passenger and her peacock from boarding a flight back in January. They aren’t the only ones, either. Most major airlines have strict guidelines regulating emotional support animals. Even more recently, another passenger publicly claimed that Spirit Airlines forced her to euthanize her emotional support hamster. While the airline denies any such allegations, the key takeaway is that emotional support animals appear to be on the rise. One author at Psychology Today published an informative article defining and discussing the topic. According to him, researchers at UC Davis decided to examine and compare the types of assistance dogs registered by animal control facilities between 2000 and 2002 and a decade later, from 2010 to 2012. They discovered animals registered for psychiatric services and emotional support had increased by ten-fold. This could be a troubling statistic, because unlike conventional service animals, emotional support animals can be members of any species and don’t have to be trained to do anything. In other words, emotional support animals can simply be your pet, and in many cases, that’s exactly what they are. This isn’t necessarily to say that emotional support animals are useless, only to say that it’s possible that such lenient regulation has resulted in some people exploiting the system. The only appropriate scenario means a licensed therapist must prescribe an emotional support animal. Self-designated emotional support animals don’t qualify in the eyes of the law. There are very few reliable statistics suggesting what types of animals are most commonly made into emotional support animals, but it’s safe to assume many are likely to be domesticated ones like cats, dogs, birds, fish, etc. Some people opt for more exotic choices, however, which can make it difficult to do simple things like board a flight. That’s also why it’s crucial to have a legitimate prescription, otherwise, someone could risk jeopardizing their own travel plans and/or incur avoidable costs.